A couple of weeks ago, I was blessed to be married to my best friend! We were married in the Historic District in downtown Charleston, SC. Since Chris and I tend to gravitate towards all things vintage, we were married in the beautiful Episcopal church that my parents attend. It has been around since the 1700’s, built before the US was a country. In fact, George Washington even worshipped in one of the pews! 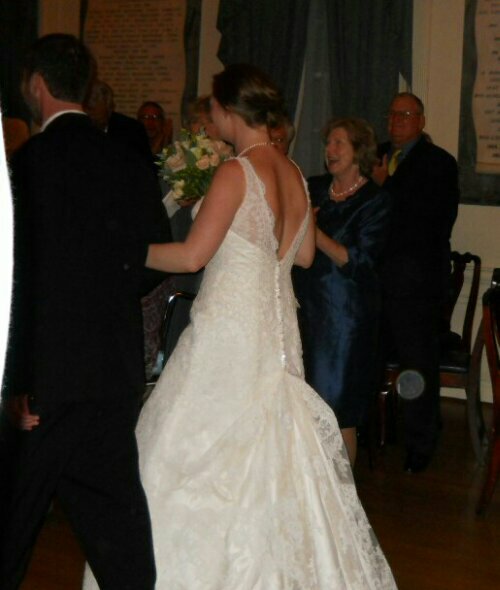 The reception was at another Colonial Era building two doors down. It was built as a Society Hall but now also serves as a reception hall for weddings and other events. If those walls could talk, I’m sure there would be all kinds of stories! Before the wedding, my mom gave me my Something Old. It was a handkerchief that a friend of hers had sewn into a baby bonnet, and that I had worn home from the hospital after being born. It came with a poem that instructed the bride to snip the threads in order to have a handkerchief to carry on her wedding day. 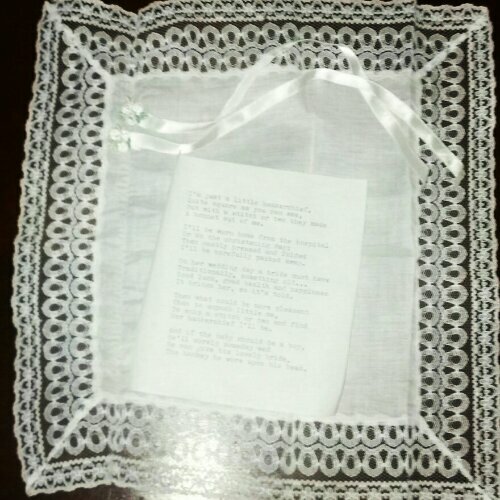 As my mom read the poem to me and held the bonnet I wore home from the hospital over 30 years ago, tears rolled down her face. It was a moment I will never forget. It was such a neat idea, and so special, I have decided to try to revive this beautiful trend. 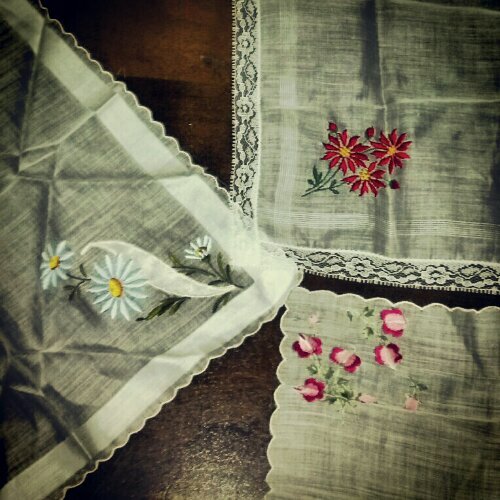 I have started going through my collection of vintage handkerchiefs to find hankies pretty enough to be made into bonnets, to give as gifts! I think I have some winners… will post updates on this.